Refinancing a home is something discussed a lot on TV in America. There are plenty of commercials that offer low monthly payments, no money down, and a bunch of other financier keywords that can make you more confused than when the commercial started. 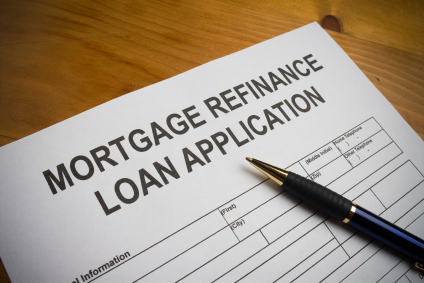 The biggest thing to keep in mind is that refinancing a mortgage does not eliminate any repayment obligation. The true purpose and function of a refinancing is to try and secure a lower interest rate on the property that a person owes money on. If there is a lower interest rate than when the original loan was signed, then less money gets paid to the lender directly from the buyer in the life of the loan. It’s a useful way to save money if a large chunk of the principal has been paid off already. Another option that comes with that is the concept of a cash out refinance. The actual process follows the standard refinance workflow, but the end result is a lower interest rate for the borrower and cash in hand from the appreciated value of a home over time. It’s much like a home equity loan, where the value of a house is put as collateral against the risk of not paying back a refinanced home loan. This is still money to be paid back, but the cash in hand can be used for other bills and needs in a person’s financial life. The truth of the matter is, sometimes other bills need to be addressed. Manufactured home lenders understand this, and are willing to cooperate with efforts to minimize risk and interest rates as long as the original money owed is being paid back efficiently. There needs to be an appreciation in value on the property, or you must have paid off a significant portion of your remaining principal. Lenders are only willing to work with people they have a good track record with. Making payments on time and practicing good credit habits are a solid way to set yourself up for a successful refinance down the line. A home can only appreciate in value if it has been well taken care of. Any home improvement projects you’ve been meaning to get to should either be presented as a reason for the lender to help with a refinance or handled out of pocket to ensure the maximum amount of cash offered in the borrowing process. Focusing on these key points will help ensure that your application for a refinance gets accepted and the best possible interest rate is secured. That lower interest rate will make sure the cash you get in hand goes where it needs to be! Contact one of our listed lenders today and see if a cash out refinance fits your financial needs.